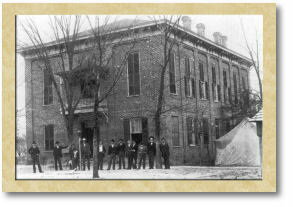 The second Milton County Courthouse was built circa 1877. After the county became a part of Fulton County in 1932 the courthouse fell into disrepair. 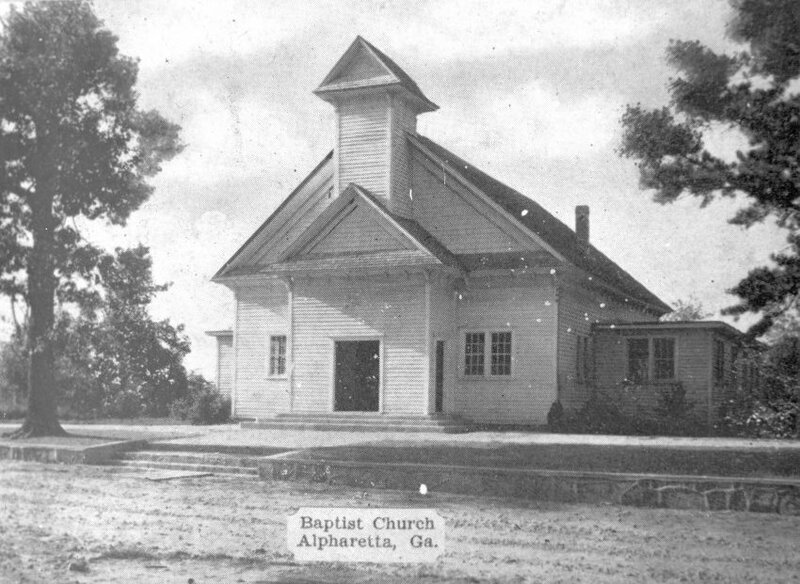 It was razed in 1955 to make way for the Alpharetta Municipal Building which housed city hall. The R.J. Webb Building was constructed in 1907 at the northwest corner of South Main Street and Milton Avenue. Retail shops filled the first floor while the top floor was used as a hotel razed circa 1970; the site is now occupied by the downtown city pocket park. 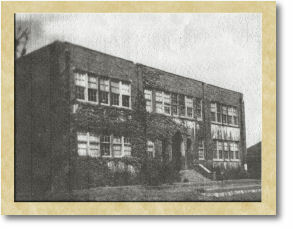 Opening in January 1922, Milton School housed grades one through eleven. 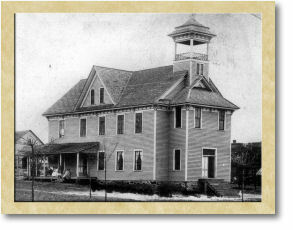 In the fall of 1956, grades one through seven were moved to the new Alpharetta Elementary School on Mayfield Road. 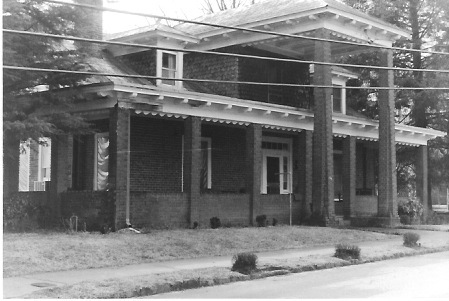 Colonel J. P. Brooke purchased property on Academy Street in the 1880s and soon built this imposing home for his family. Colonel Brooke was an attorney and Superior Court Judge for the Blue Ridge District. 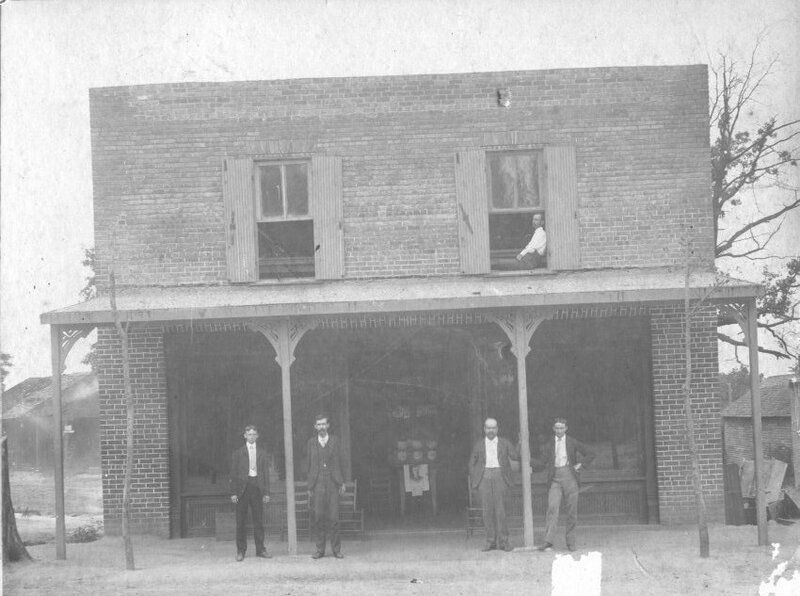 Howell Manning (hands in pocket) owned this store on North Main Street. Postman Dodge Teasley leans on the post. George Upshaw is sitting on the porch floor to Mr. Teasley's left. The Adventist was located at the southeast corner of Church and Canton Streets. After the school closed, the building was used as a residence for forty years. The structure was razed circa 1965. In 1903, a group of women who met weekly for prayer and Bible study began collecting offerings. From these collections, the women purchased a sixty by one hundred foot lot and began construction of the First Baptist Church. The project was completed in 1905 and was located on this site. 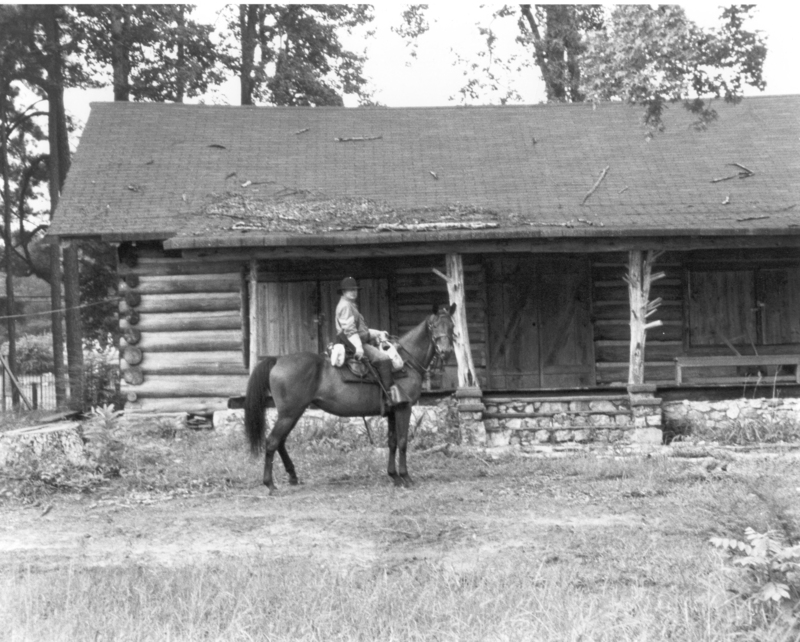 Methodist circuit riders held camp meetings here in the early 1830s and a meeting house existed as early as 1834. In 1871, Isham Teasley donated land where the brick chapel now stands. 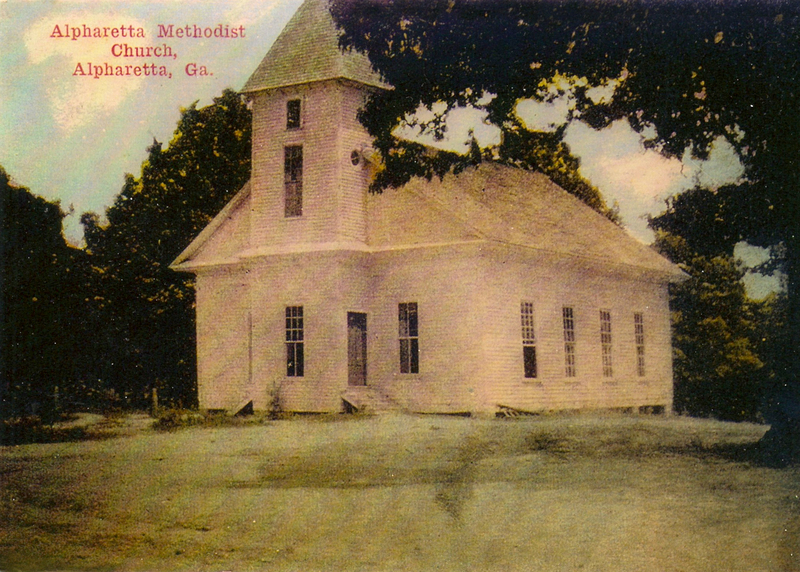 A white frame church was there until 1931. The six-room Queen Anne-style cottage has heart pine floors and fireplaces with original mantels and tiles. 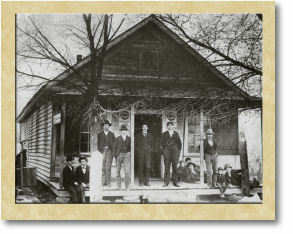 Cotton broker Clifford Pierce Norman, wife Nancy Lee Shell Norman and their three daughters lived there. Colonel Tom Lewis built the five bedroom Queen Anne-style house. Siblings Tom H., James H. and Annie Manning lived there 1905-1953. Alpharetta Mayor Sim Manning and his wife, Sarah, moved there in 1948. This Queen Anne-style style home built by B.F. Shirley in 1910 used a Sears, Roebuck & Co. house pattern. Features include a nine-room interior, veranda, and exterior stairs leading to the second floor. Renovations have been made, but the original building structure has not been altered. 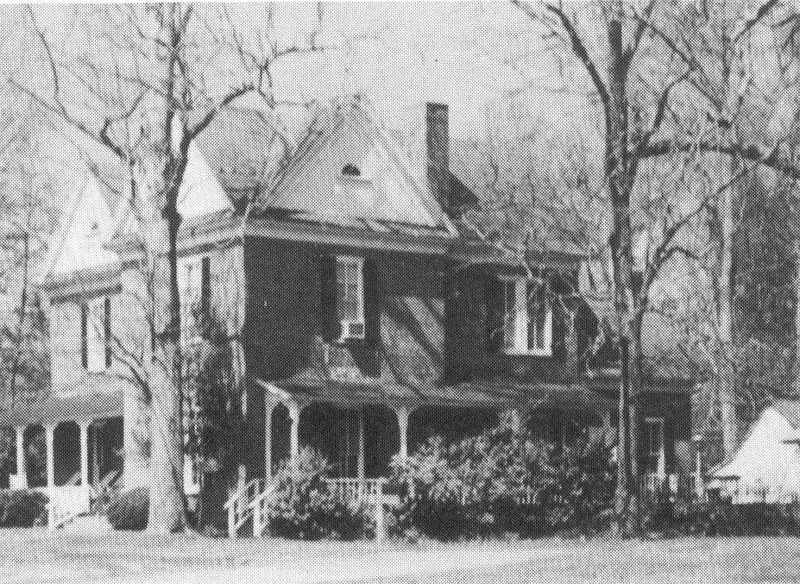 The Alpharetta Woman’s Club purchased the house in 1962 and paid the bank loan with funds from community projects. Several springs and proximity to westward routes made the campground a suitable overnight stop for travelers and a place for settlers to camp until land could be obtained for homes. The site became known as New Prospect. Later, a log building was constructed for a school and church. R.J. and J.J. Webb built the structure on property purchased from James Madison Dodd. 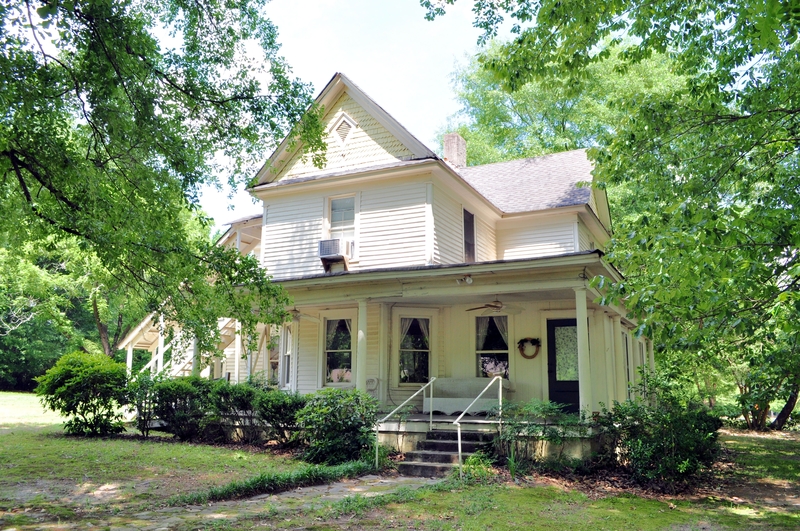 The Teasleys bought the property in 1911 and built the Teasley’s Warehouse portion. Later occupants were Q. 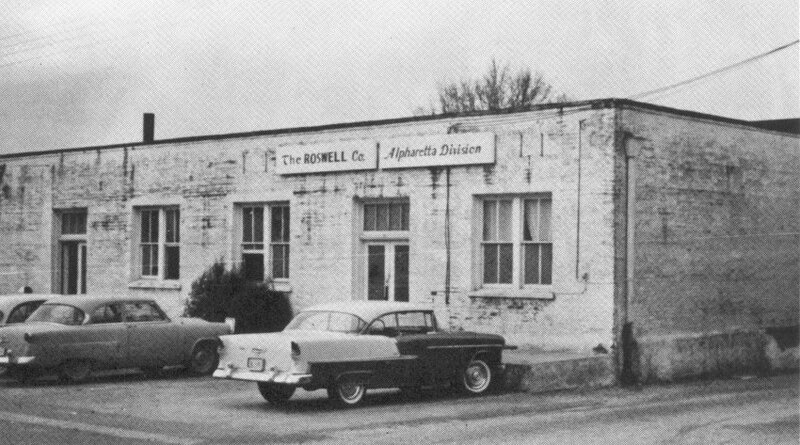 A. Wills’ cotton warehouse and chenille factory, Lad ’N Dad Slacks, and The Roswell Company. Frances Byers established the Cotton House Furniture store in the 1970s. Members of Milton High School’s Future Farmers of America built this rustic cabin of hand-hewn logs. Teacher P. L. Elkins provided seed money and project oversight. Alpharetta merchants and farmers furnished other supplies. The one-room, one floor cabin serves as a teaching museum for the Alpharetta Historical Society by illustrating life in the 1800’s. In December 1860, the Milton County Inferior Court gave two acres to the citizens of the county to be used as a graveyard. In May 1903, Milton County conveyed the Alpharetta Cemetery Lot, now four acres, to Members of the Town Council and their successors. The lot to be used as a general burial ground under the supervision of the Town of Alpharetta. This is the final resting place for many of the founders of Milton County and the Town of Alpharetta. The earliest recorded burial is that of Susan Camp Garrison, born 1822, died 1861. The cemetery property had previously been owned by Susan’s father, Arthur T. Camp. 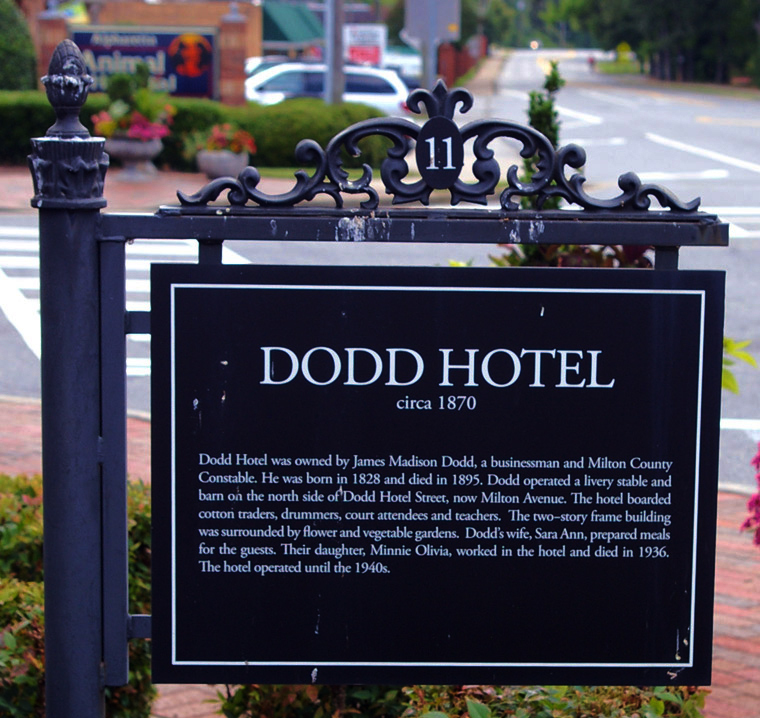 Dodd Hotel was owned by James Madison Dodd, 1828-1895. A businessman and Milton County constable, he operated a livery stable and barn on the north side of the street. 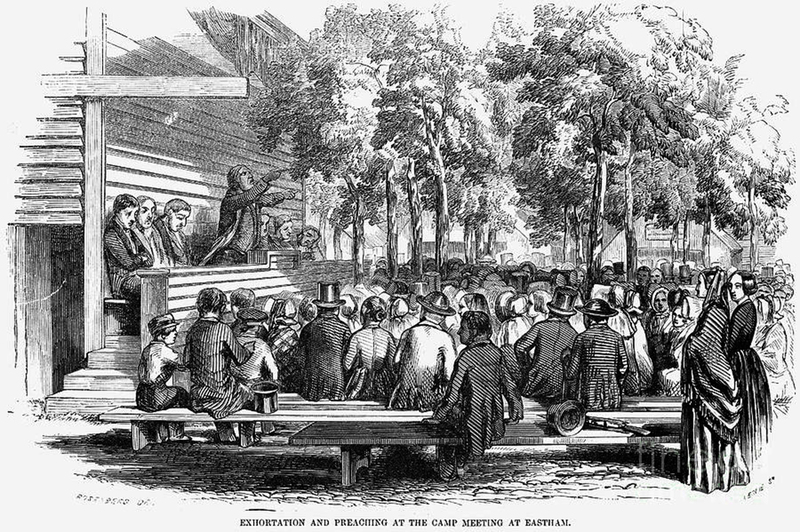 The two-story hotel boarded cotton traders, drummers, court attendees and teachers. Dodd’s wife, Sara Ann, prepared meals. The hotel operated until the 1940s. Originally the three buildings faced the National Highway, now Old Roswell Road. A brick façade was added in the 1970s. 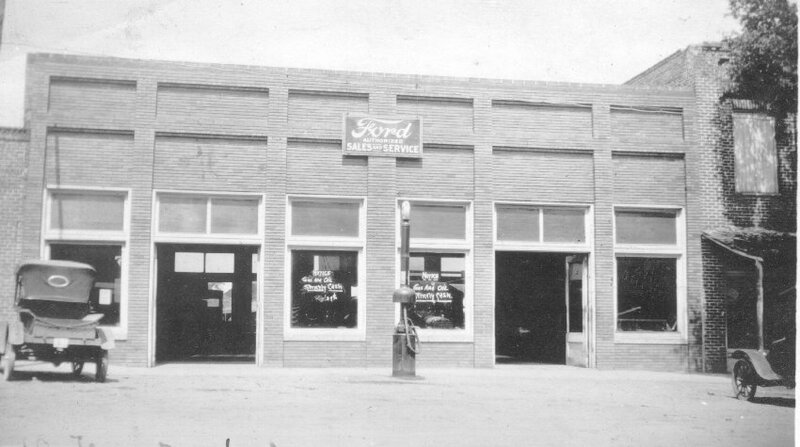 In 1909, John A. Oliver constructed the two-story Oliver warehouse. Prior to 1914, D.P. Waters constructed the Waters warehouse that connected the Oliver and McCollum structures. The McCollum warehouse was built around 1909. The only known elevator in Milton County was installed here and still exists. The Greek Revival-style home was built for the family of Dr. Oliver P. Skelton, physician, postmaster and Ordinary of Milton County. His son-in-law John I. Teasley, a cotton planter, subsequently occupied it. The house sits on one of the highest points in Alpharetta. This Colonial Revival structure has served as the home of numerous early city and county officials, physicians, and business owners since the 1890s. Residents include the McLesky, Foster, Oliver, Jones, Robertson, Waters and Garmon families. There have been changes to the exterior including the addition of brick columns and the enclosure of one of the side porches. The Waters family lived here during the first half of the 20th century. Mr. Waters owned the Alpharetta Drug Store and was the book agent for Milton County Schools. 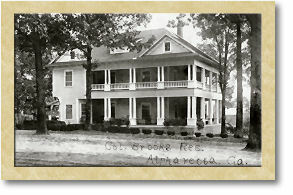 Alpharetta was formed in 1858 and a thriving business district soon developed. 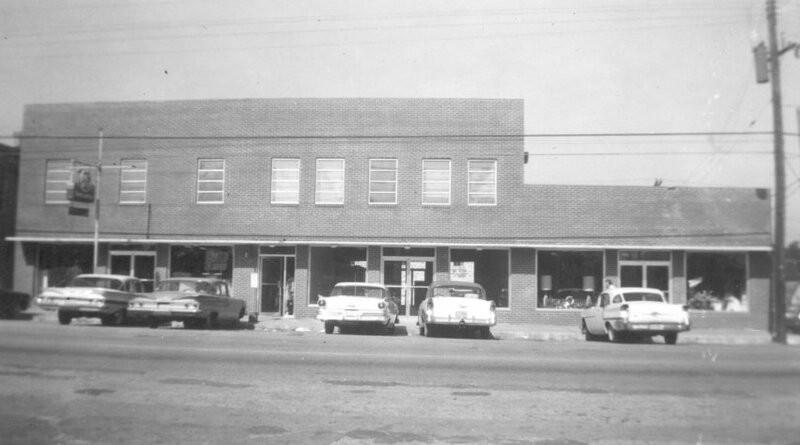 Many businesses had two entrances – one facing the Milton County Courthouse on Norcross Street, now South Main Street, and the other facing National Highway, now Old Roswell Street. On June 26, 1902, a fire destroyed much of the town. Most of the lost buildings were replaced with brick or stone construction. 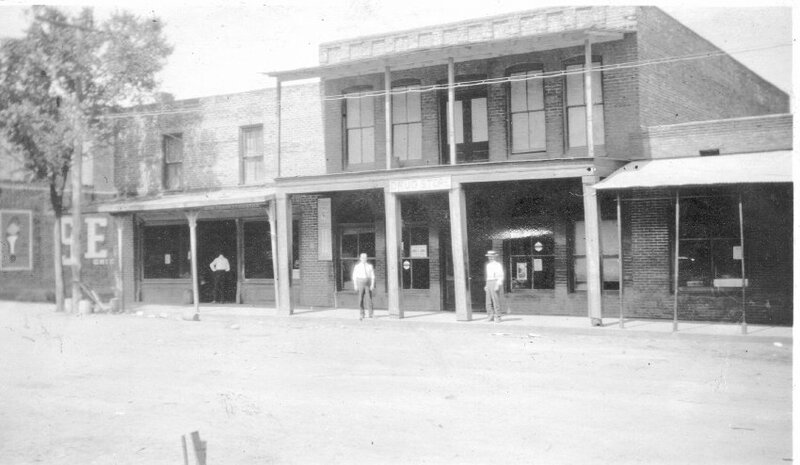 Buildings south of Jones Alley housed the A.G. Carroll store, Shirley Brothers Mercantile and Milton County Bank (c. 1910), Jones Merchandise (c. 1914), Teasley Ford Motor dealership, Q.A. Wills Merchandise, Louie E. Jones Funeral Home (c. 1940), Barnett Brothers (c. 1950) and Parsons Hardware. The Webb Gin operated behind the complex (early 1900s). J.A. Oliver’s general store at 1 South Main Street operated until 1920, followed by the grocery stores of Jones, Lively and Talmage Burgess. In the mid-1950s, Phillips Variety Store opened. 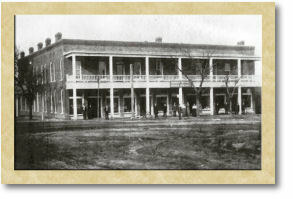 At 3 South Main Street were the Teasley, Johnson and Moore stores, John M. Martin Grocery and establishments owned by the Devore, Mayfield, Waters, Thomas, Shaw, Kirby, Goswick and Reese families. The six-room Queen Anne-style clapboard farmhouse was built by Robert Mansell for his wife, Maude Dorris. The Mansells were primarily cotton farmers. 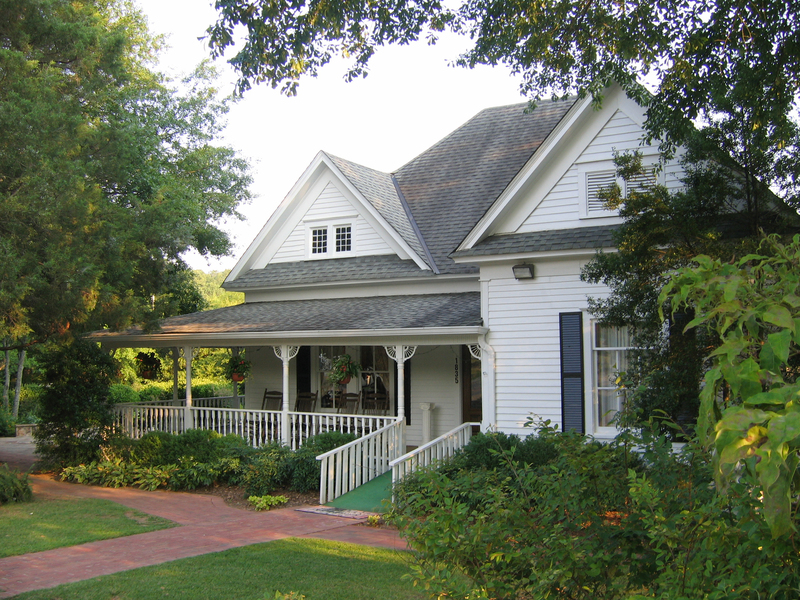 Originally situated on the family farm, the house was donated by the Herman Miller Company to the Alpharetta Historical Society and moved to its current location in 1993. 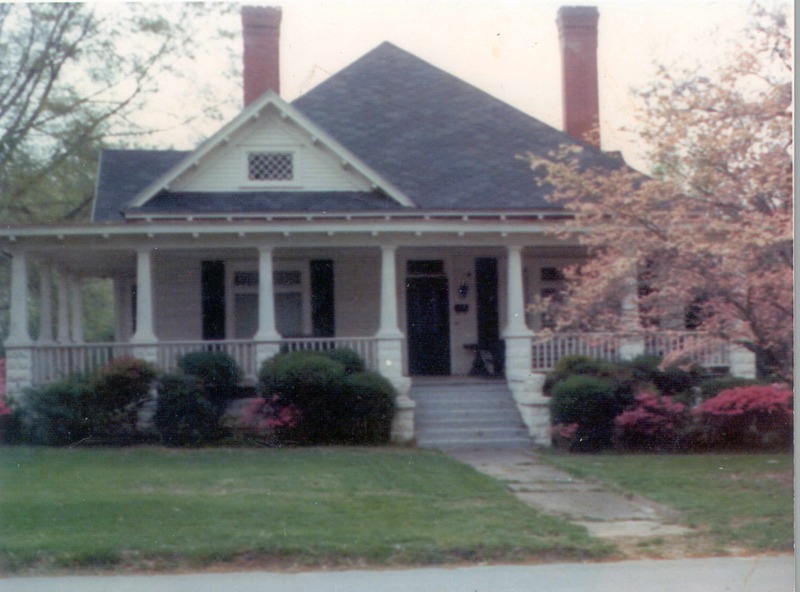 This Craftsman style cottage was built for Teasley and Ruth Summerour Upshaw in 1925. The simple two-bedroom one bath home features 10 feet ceilings, heart pine floors, with a large living room, dining room and kitchen. The interior has seen little change since construction. 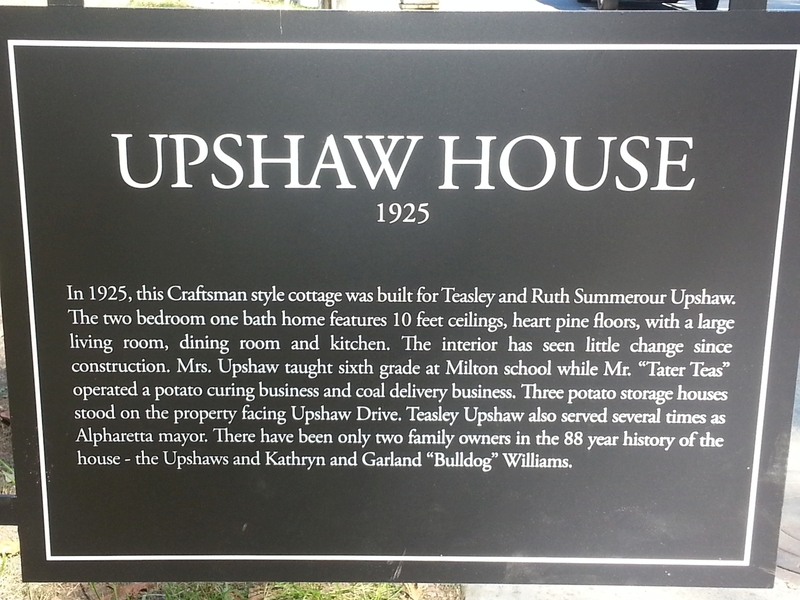 Mrs. Upshaw taught sixth grade at Milton school while Mr. “Tater Teas” operated a potato curing business and coal delivery business. Three potato storage houses stood on the property facing Upshaw Drive. 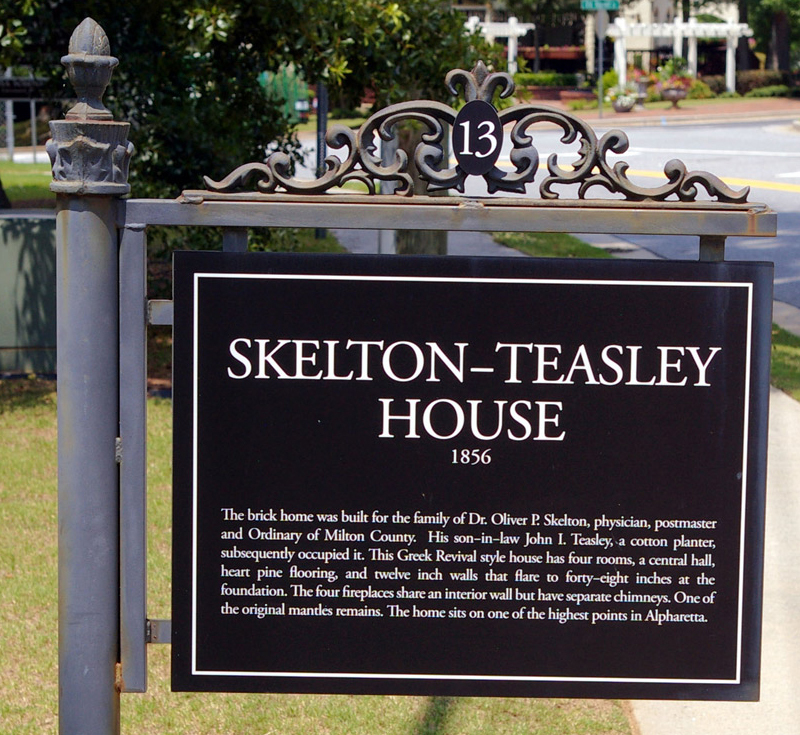 Teasley Upshaw also served several times as Alpharetta mayor. There have been only two-family owners in the 88-year history of the house - the Upshaws and Kathryn and Garland “Bulldog” Williams.